GAO-09-294SP: Published: Mar 24, 2009. Publicly Released: Mar 24, 2009. 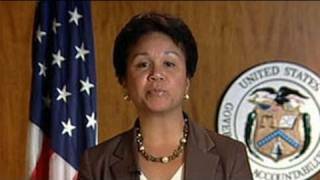 Jacquelyn L. Williams-Bridgers, GAO Managing Director, International Affairs and Trade, discusses issues related to advancing US efforts in Iraq, Afghanistan, and Pakistan as part of GAO's 2009 Congressional and Presidential Transition work. To assist the 111th Congress, this report presents a series of issue papers for consideration in developing congressional oversight agendas and determining the way forward in securing and stabilizing Iraq. These papers are based on the continuing work of the U.S. Government Accountability Office (GAO) and the more than 130 Iraq-related products we have issued since May 2003. Since fiscal year 2001, Congress has provided about $808 billion to the Department of Defense (DOD) for military efforts primarily in support of the Global War on Terrorism. The majority of this amount has been for military operations in support of Operation Iraqi Freedom. Moreover, since fiscal year 2003, about $49 billion has been provided to U.S. agencies for stabilization and reconstruction efforts in Iraq, including developing Iraq's security forces, enhancing Iraq's capacity to govern, and rebuilding Iraq's oil, electricity, and water sectors, among other activities. This report expands on issues discussed on GAO's transition Web site. In January 2007, President Bush announced The New Way Forward in Iraq to stem violence and enable the Iraqi government to foster national reconciliation. To support the strategy, the United States increased its military presence through a surge of brigade combat teams and associated forces. In June 2008, we reported that the United States had made some progress in reducing overall violence in Iraq and working with the Iraqi government to pass legislation promoting national reconciliation. In February 2009, President Obama described a new strategy for Iraq consisting of three parts: (1) the responsible removal of combat brigades, (2) sustained diplomacy on behalf of a more peaceful and prosperous Iraq, and (3) comprehensive U.S. engagement across the region. According to DOD, the United States plans to reduce the number of combat troops from about 140,000 projected in March 2009 to about 128,000 by September 2009--a difference of 12,000 troops representing two brigades and their support units. Under the schedule announced by the President, U.S. force levels would decline further by August 31, 2010, to no more than 50,000 troops. Under the November 2008 bilateral security agreement6 between the United States and Iraq, the United States must remove all of its remaining forces by December 31, 2011. Key issues that should be considered in further defining the new strategy and its supporting operational plans are as follows: (1) The security agreement establishes dates for repositioning U.S. forces in Iraq and removing them from the country--a significant change from the United States' prior, conditions-based strategy for Iraq. A responsible drawdown in Iraq will need to balance the timetable established in the security agreement, military doctrine that calls for the delineation of conditions that must exist before military operations can end, and the wishes of the Iraqi government. (2) If the United States adheres to the timetable contained in the security agreement, DOD will need to remove about 140,000 troops by the end of 2011. The redeployment of these forces and the removal of their equipment and material will be a massive and expensive effort. (3) The large U.S. military presence has provided vital support to civilian operations and has undertaken many traditionally civilian tasks. In moving forward, the United States will need to consider how to transition from a predominantly military presence to a civilian one as U.S. forces draw down. (4) As U.S reconstruction efforts end, Iraq will need to develop the capacity to spend its resources, particularly on investment that will further economic development and deliver essential services to its people. GAO estimates that the Iraqi government had a cumulative budget surplus of $47 billion at the end of 2008.